From the very first days of Kickstarter, we’ve been asked time-and-time again—do you have Castable Resin? Today, we’re thrilled to say that we do. Meet our new Castable Resin. It’s designed for clean, ash-less burn-out, and ultra high-resolution prints. The product of an exhaustive R&D process, Castable is the material that anyone doing investment casting has been waiting for. Available for order now, and shipping in November. We’re also announcing a second functional resin today, Flexible. Pliable when thin, and resilient when thick, our Flexible Resin is all-around exceptional. We can’t wait to see what you come up with. Flexible will go on sale in December. Sign-up for our alert list and we’ll let you know the moment it’s available. 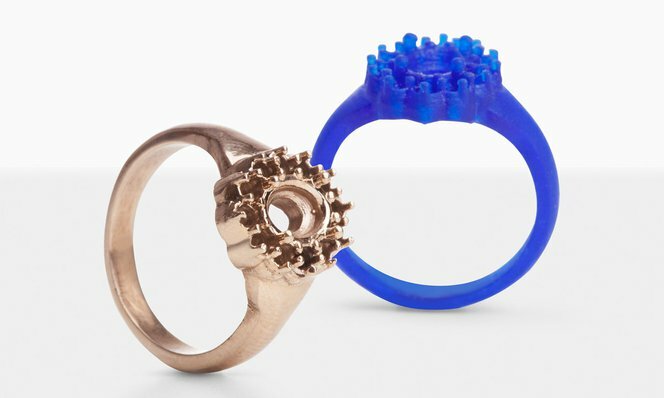 Both resins are compatible with the Form 1+ 3D Printer, as well as the Form 1. We’ve tested them over and over, and they’re perfectly calibrated for our machines. We couldn’t be more excited. For a more complete write-up of the casting process, check out our step-by-step tutorial here, as well as our community forum. We're also updating our Clear and Grey formulations for better stability and performance over time. The new resins are not compatible with the old, so make sure not to mix them! You'll also need our brand-new version of PreForm 1.7 to get access to the new settings.